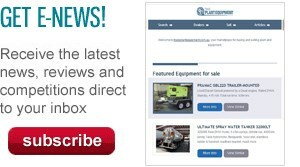 Current WHS regulations, developing suitable Safety Management Systems and safe traffic management are the prominent topics covered in Pro-Visual Publishing’s most recent warehouse safety information chart release. 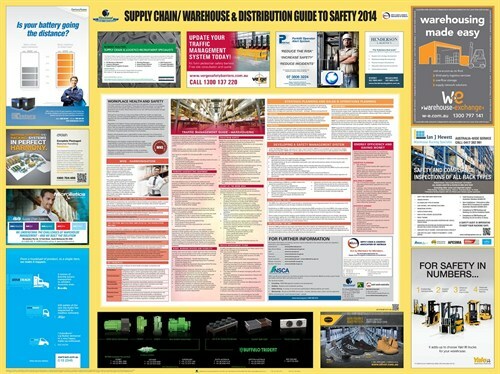 The Supply Chain, Warehouse & Distribution Guide to Safety 2013/14 was published with support from the Supply Chain Logistics Association of Australia and is distributed free of charge to warehouse companies, workers and supply chain personnel across Australia. Pro-Visual says managing warehouse traffic effectively is of utmost importance to avoid casualties resulting from operating heavy vehicles in the warehouse. Other topics covered in this year’s guide include energy efficiency and operations planning. For further information or to obtain additional copies, call 02 8272 2611, email marketing@provisual.com.au or visit Pro Visual website.